Aslan Muziekcentrum is one of Holland’s leading music and dance institutions. With a foundation in Eastern culture, Aslan Muziekcentrum offers a wide variety of (world)music-, theatre- and dance activities in Amsterdam (specifically in the neighbourhoods of West and Nieuw-West). Regardless of social background or financial circumstances, we hope to help all our students develop and realise their own talents. We aim to create an inspiring place for all children whether it be at our own music centre, at schools or in local neighbourhoods. Aslan Muziekcentrum has established itself as an integral part of Amsterdam’s music education community. In the year of 2016/2017 we had 791 students following one or more Music, Dance & Theatre in my Neighbourhood classes which took place at our own school as well as at other locations in Amsterdam West and Amsterdam Nieuw-West. 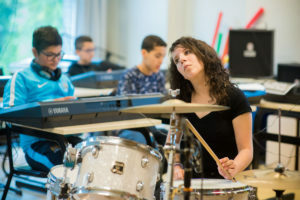 We have also created strong connections with local primary and secondary schools, providing weekly music lessons to 28 schools in Amsterdam where we offer our Music Talent Express program. In addition to this, we work together with fifteen primary schools and community centres on short-term, after-school hours projects. Aslan Muziekcentrum consists of a supervisory board and two executive directors, Levent Aslan en Zuhal Gezik, who together lead a team of ten administrative staff, fifty teachers and several volunteers to develop and realise our activities. 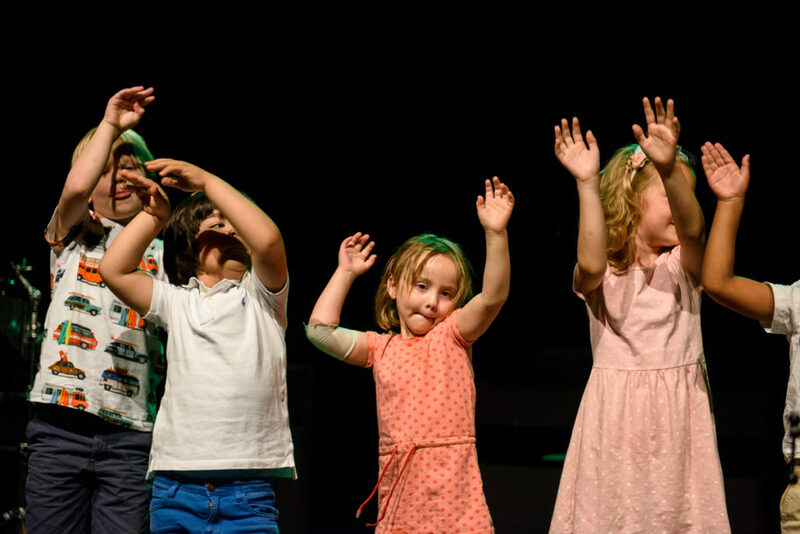 Aslan Muziekcentrum believes that music, dance and theatre can cross boundaries and help disparate communities connect and create a deeper understanding of each other. We believe in the importance of learning from different cultures, backgrounds and values and hope to contribute to a multicultural society in which different cultures can live together in harmony and tolerance. We aim to create connections within society and to have a positive influence using arts education. We want our children and their parents to experience the pride and dignity that comes with the development of creativity and talent. 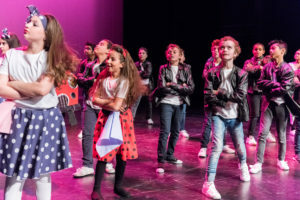 Aslan Muziekcentrum offers an extensive training program for professionals working in music-, dance- or theatre education, institutions or businesses. The main focus in our workshops is to share practical knowledge and results. We also develop teaching materials for professionals. Our Muziek Talent Express books offer practical teaching ideas for long-term music programs while our range of playing cards help to develop rhythm and melody. Future publications will include a digital version of Muziek Talent Express as well as Op Muziek kan je Rekenen (Count on Music). All products are available online via our webshop. For more information about the training courses and materials, please contact info@aslanmuziek.nl. For small children, we offer introductory courses of 10 lessons or for the whole year. In these playful courses, children get to know different instruments, types of dances and forms of theatre. We also offer: Singing on your Lap, Music & Dance for Toddlers, Dance Oriëntation and I act. Want to try out first? It’s always possible to ask for a trial lesson via info@aslanmuziek.nl. You can sign up for a course by filling in the online application form. Need help? Please contact our administration office by calling 020-612 44 46 or send an email to info@aslanmuziek.nl. Aslan Muziekcentrum is located on the corner of Corantijnstraat and Curaçaostraat, opposite the Corantijnschool (in between Surinameplein and Postjesweg). Public transport: Tram 17 (from Amsterdam Lelylaan or central station) and bus 15 (from Amsterdam Zuid) stop nearby Aslan Muziekcentrum at the stop: Corantijnstraat (corner of Corantijnstraat/Hoofdweg). Car: Take exit S109 of the A10 highway. After 600 meters you’ll arrive on the big roundabout called Surinameplein. Turn left onto Hoofdweg. After 500 meters, before the bridge, turn to the left onto Postjeskade. Take the first street to the left, Curaçaostraat. You can see Aslan Muziekcentrum on the first corner on your leftside. Paid parking is possible for €2,40 an hour or €14,40 for a full day card. The parking ticket machine for bank- or chipcard is situated on the corner of Curaçaostraat/Corantijnstraat.